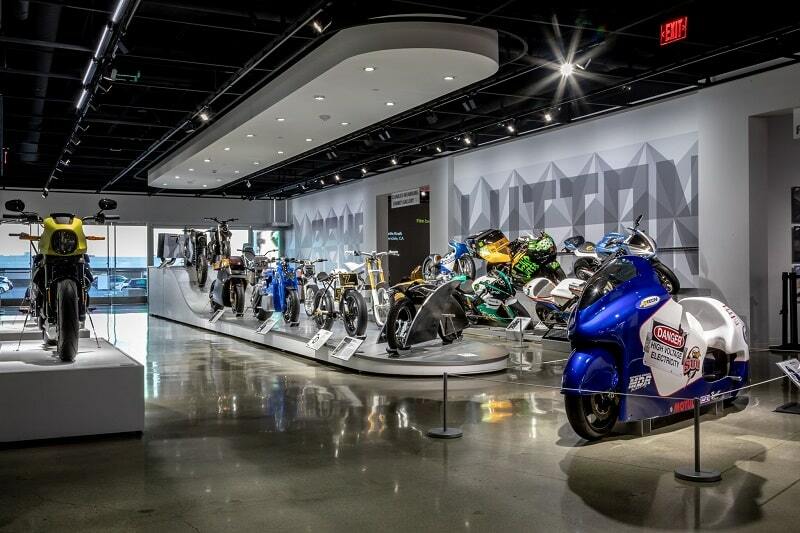 On April 6 of this year, the Petersen Automotive Museum opened the doors to the first exhibit in the world dedicated solely to electric motorcycles. 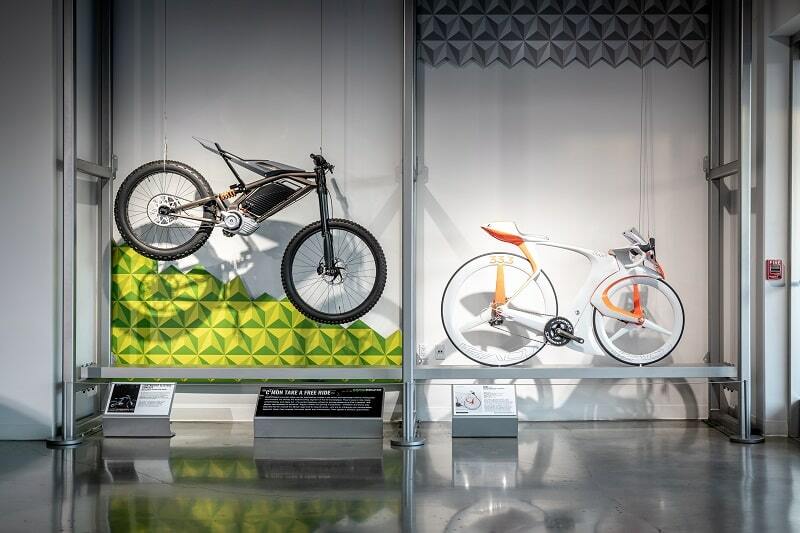 The exhibit, “Electric Revolution,” shows the past and present of the e-bike industry. It features 21 iconic examples from visionary custom builders and established manufacturers. The exhibit includes a wide variety of bikes, a collection custom, prototype, racing and production electric motorcycles from CAKE, Neil Connolly, Curtiss Motorcycles, Alta Motors, Shiny Hammer, Blatant Moto, Joey Ruiter and more. 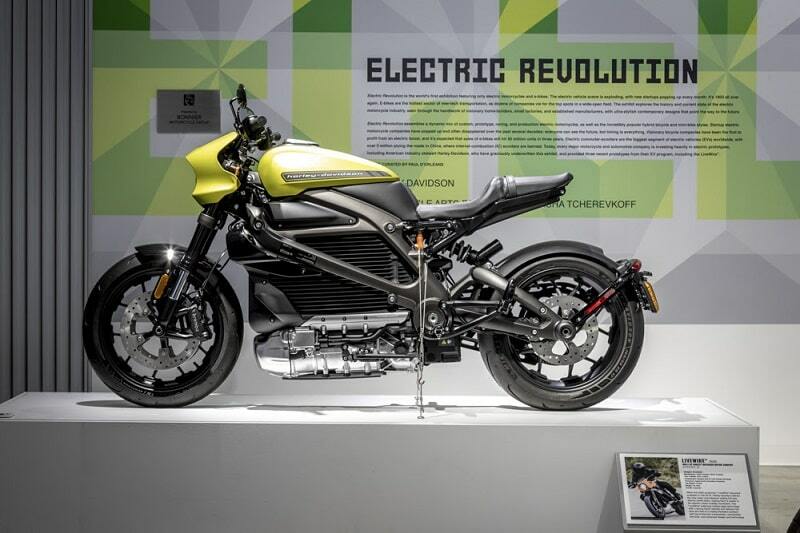 Harley-Davidson underwrote the exhibit and also offered three recent prototypes from their EV program, including the 2020 LiveWire. Some of the other notable motorcycles on display include CAKE’s “Kalk,” an innovative, light and sleek off-road e-bike from Sweden that sold out its first run and has won design awards around the world; Neil Connolly’s “STROM 36,” the first electric bike ever to be featured in the AMD World Championship Custom Show in 2015; and Curtiss Motorcycles’ “Zeus,” the company’s debut bike after it re-branded last year. The exhibit is guest curated by Motorcycle Arts Foundation (MAF) Co-Founder Paul d’Orleans, who previously guest curated the spectacular “Custom Revolution” exhibit at the Petersen last year. The exhibit is designed by Falcon Motorcycles Founder Ian Barry, features graphics by British artist Nicolai Sclater of Ornamental Conifer, and is produced by MAF and MAF Co-Founder and Chairman, Sasha Tcherevkoff. “Electric Revolution” will close in November 2019. For more information about the exhibit and the Petersen Automotive Museum, please visit Petersen.org.